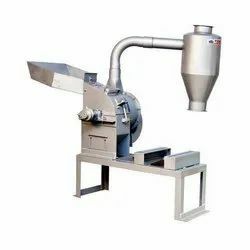 Wholesale Supplier of a wide range of products which include chill onion cutter, dough kneader, gravy maker, namkeen machine, chakki atta plant and daliya making machine. The Natraj Chilli/Onion Cutter is the perfect kitchen equipment for cutting these common kitchen ingredients. It saves time and labour. The machine is easy to operate. Wastage of material is zero. It has a high load capacity and works smoothly at higher loads. The Natraj Dough Kneader is your best help in the kitchen. When you need to speed up things for swift servicing, Natraj Dough Kneader helps save labour and time by kneading dough for you. 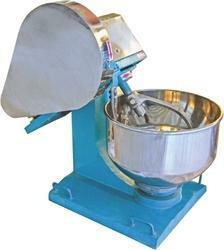 It is capable of kneading dough of any flour. The machine is fast, efficient and allows no wastage. The consistency of the dough will be as per your need. In a commercial set up the need for large scale operations is understandable. 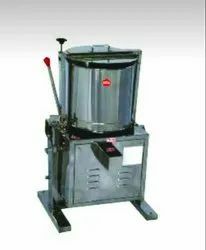 The Natraj Gravy Maker offers such large-scale operations in making gravy or juices from various fruits, vegetables and other ingredients. 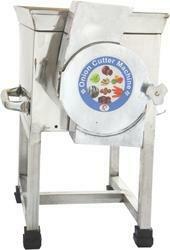 It saves time and energy in crushing large quantities of food items for making gravy. 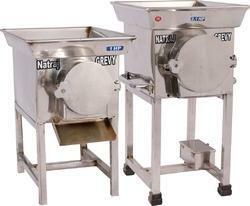 The Natraj Gravy Maker is available in various capacities as per your requirements. The Natraj Namkeen Machine gives the precise namkeen for commercial scale kitchens. It takes less time to load and have multiple blades for making namkeen in various shapes and sizes. 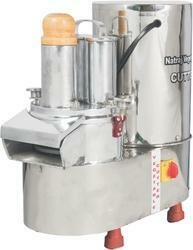 We deal in 10 HP Red Chilli Grinding Machine.Available from 2 HP- upto 20 HP with Air cooling System. 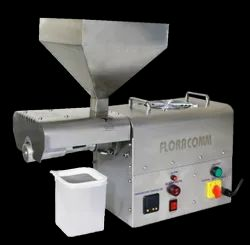 The commercial oil extractor of Floracomm is the best in the industry. It is suitable for those who are looking to setup an oil extracting business. 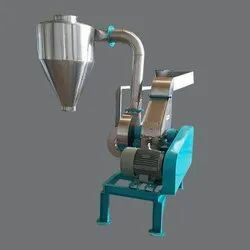 The machine has advanced technology to extract oil from various nuts - groundnut, coconut, sesame, mustard, almond and sunflower. 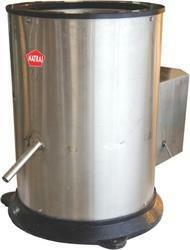 Flora Comm Commercial Oil Extractor is exquisitely designed to handle high load inputs for higher oil extraction. It is easy to operate and can work for long hours. The machine is made up of stainless ( Grade 304 & 316 ) steel and needs less maintenance. We guarantee high performance. Hopper Capacity - 15 kg. Guarantee will be valid for one year guarantee from the date of Purchase. Any dispute subject to Delhi jurisdiction. Usage/Application Homogeneous Dough in minutes without fuss & save your labour. Also mixes different items. 3. Smaller floor space 2.5sq.ft. Guarantee will be valid for one year from the date of Purchase. A dryer machine is important equipment in the kitchen to avoid spoiling of food. 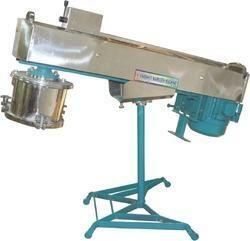 The Natraj Dryer Machine helps remove extra oil/water from potato slices, removes water from namkeen, dal etc.